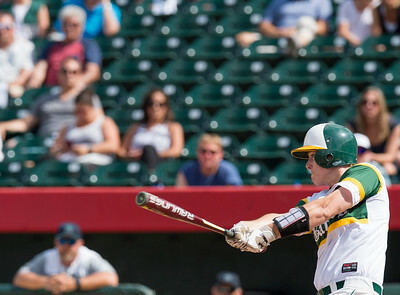 Paul Bergstrom for Shaw Media Crystal Lake South's Noah Tyrrell (10) bats a three run home run in the first inning of the 4A State Semi-Final game against New Trier hosted at Silver Cross Field in Joliet. 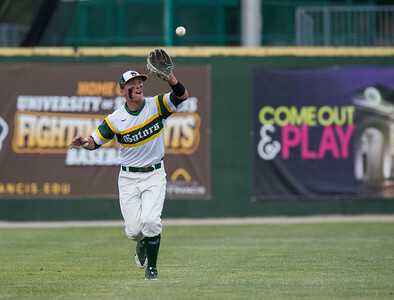 Paul Bergstrom for Shaw Media Cristal Lake South's Michael Swiatly (22) catches a fly ball during the 4A State Semi-Final game against New Trier hosted at Silver Cross Field in Joliet. 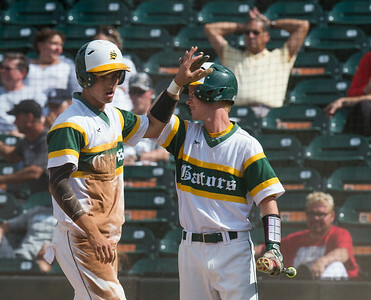 Paul Bergstrom for Shaw Media Crystal Lake South's Noah Tyrrell (10) hugs Nick Wolski (24) after hitting a three run home run in the first inning of the 4A State Semi-Final game against New Trier hosted at Silver Cross Field in Joliet. 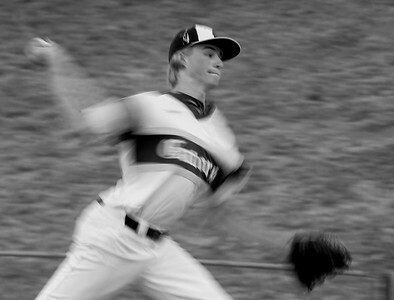 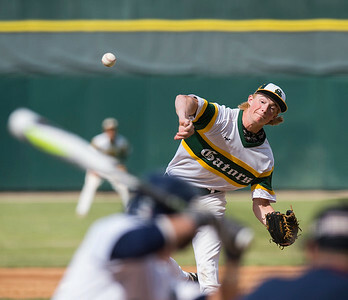 Paul Bergstrom for Shaw Media Crystal Lake South's Kyle Lang (12) pitches during the 4A State Semi-Final game against New Trier hosted at Silver Cross Field in Joliet. 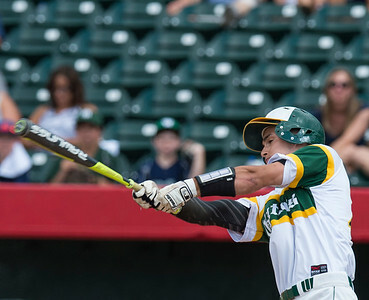 Paul Bergstrom for Shaw Media Crystal Lake South's Brent Chubb (15) bats during the 4A State Semi-Final game against New Trier hosted at Silver Cross Field in Joliet. 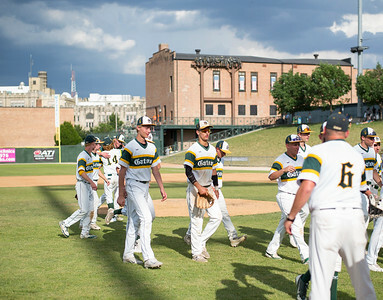 Paul Bergstrom for Shaw Media Crystal Lake South's Brent Chubb (15) high fives Griffin Bright (5) after stealing three bases for a run during the 4A State Semi-Final game against New Trier hosted at Silver Cross Field in Joliet. 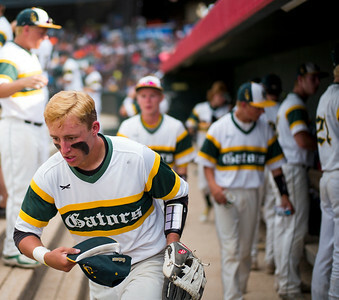 Paul Bergstrom for Shaw Media Crystal Lake South's Brent Chubb (15) after stealing three bases for a run during the 4A State Semi-Final game against New Trier hosted at Silver Cross Field in Joliet. 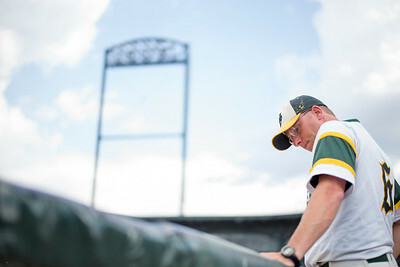 Paul Bergstrom for Shaw Media Crystal Lake South Head Coach Brian Bogda watches the game from the dugout during the 4A State Semi-Final game against New Trier hosted at Silver Cross Field in Joliet. 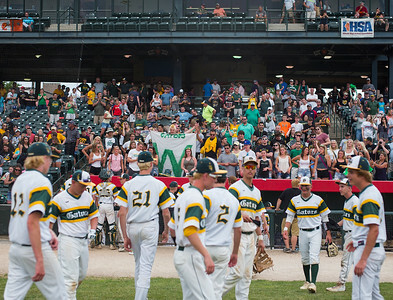 Paul Bergstrom for Shaw Media Crystal Lake South's Michael Swiatly (22) runs out onto the field for the last inning of the 4A State Semi-Final game against New Trier hosted at Silver Cross Field in Joliet. 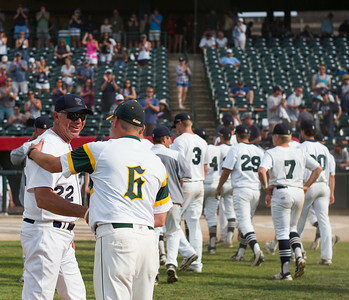 Paul Bergstrom for Shaw Media Crystal Lake South Head Coach Brian Bogda shakes hands with New Trier Head Coach Mike Napoleon after winning the 4A State Semi-Final game hosted at Silver Cross Field in Joliet. 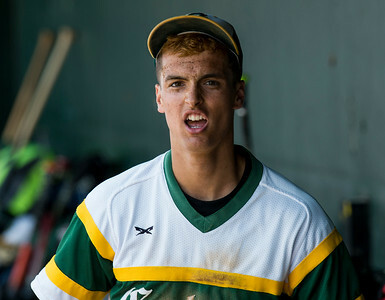 Paul Bergstrom for Shaw Media Crystal Lake South celebrates a 9-3 win over New Trier in the 4A State Semi-Final game hosted at Silver Cross Field in Joliet. 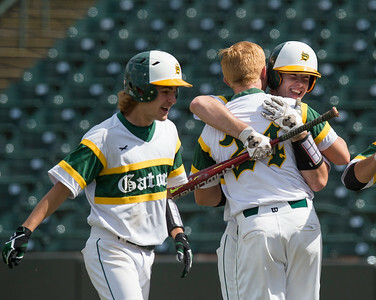 Crystal Lake South's Noah Tyrrell (10) hugs Nick Wolski (24) after hitting a three run home run in the first inning of the 4A State Semi-Final game against New Trier hosted at Silver Cross Field in Joliet.